In Biblical times, in the ancient Near East, ‘shepherd’ was also a political title. The title implied total concern for and dedication to others, and denoted the obligation of kings to provide for their subjects. 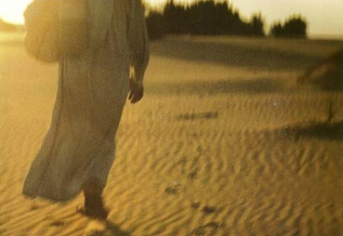 Set against the background of the desert, the protector of the sheep – the shepherd – was also the protector of the desert traveller, offering hospitality and safety from enemies. This ideal image of the shepherd finds its fulfilment in Jesus Christ. There is a reciprocal knowledge between the sheep and the shepherd. “My sheep hear my voice. I know them, and they follow me.” The sheep remained for many years in the company of the shepherd, who knew the character of each one and gave them individual affectionate names. This is how it is with Jesus and His followers: He knows each one of us intimately. Jesus loves me with a personal love; He treats me as if I was the only one who existed for Him. for having come in search of me when I was lost. and to be saved by You. I rejoice at the sound of Your gentle voice. thank You for Your unfailing love!